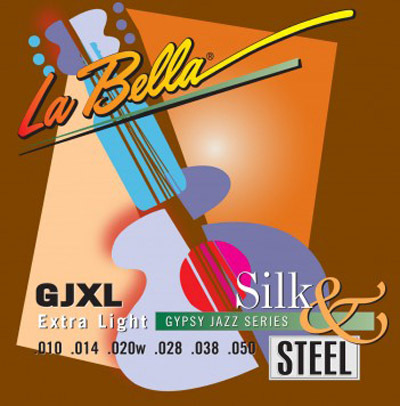 With the resurgence of the "Le Hot Jazz" tradition, our Gypsy Jazz Series were designed to satisfy the needs of these faithful practitioners and innovators. These perfectly balanced sets are best suited for the driving percussive rhythm style called "la pompe" and the blistering leads using fast scales, slides and chromatic chords. As "Gypsy Jazz" thrive today throughout Europe and North America, these contemporary swing guitarists need strings that respond to the subtleties of this style. The gauges of our "Silk & Steel" constructions lend themselves to the repertory's distinctly dark and modal sound.